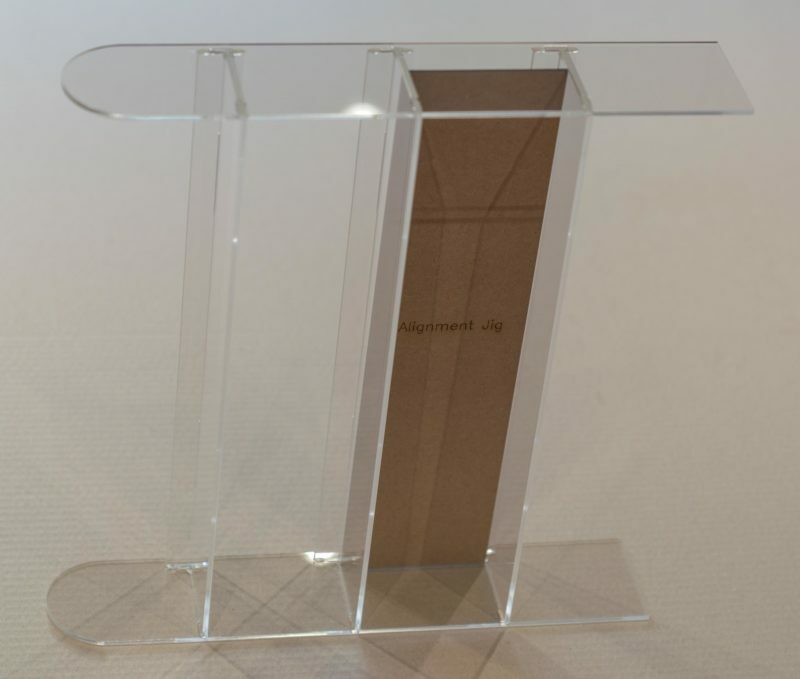 In this set of instruction we are going to cover how to assembly the Miniature Display Stand. Cocktail sticks for stirring and applying glue. Scrap plastic tray for mixing glue in. 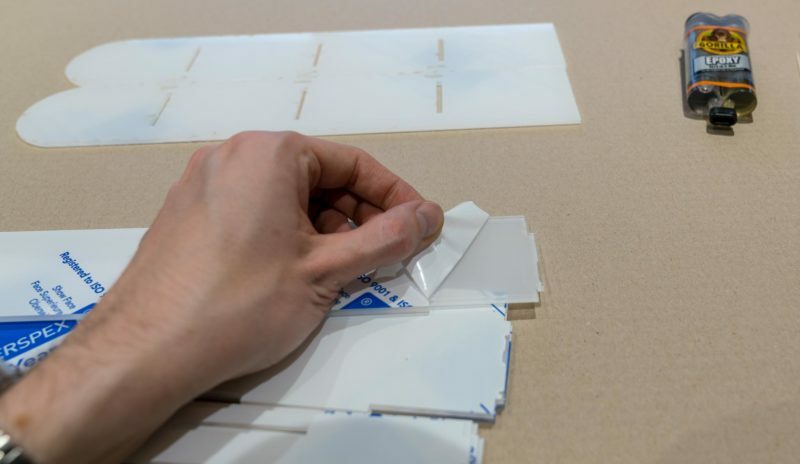 Peel the protective film off both sides of the eight acrylic pieces. 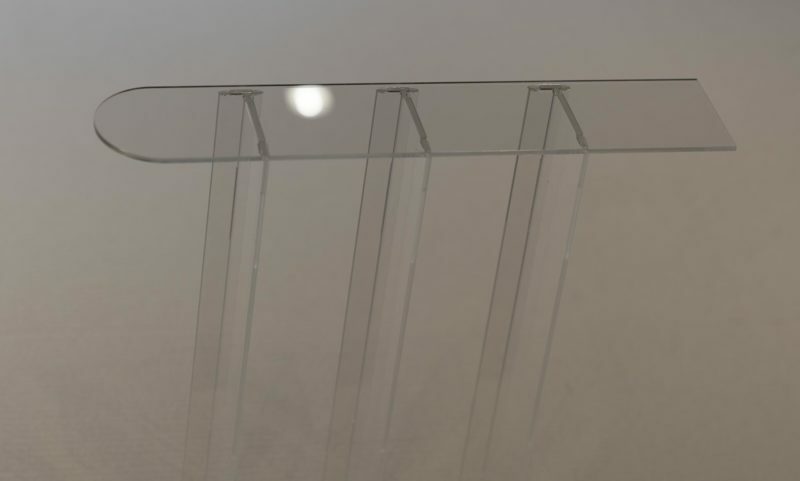 Assemble the shelf pieces by laying the thin piece with two holes down, and inserting the large piece with tabs into the slots. Repeat this for all three shelves. This tab will not require gluing. 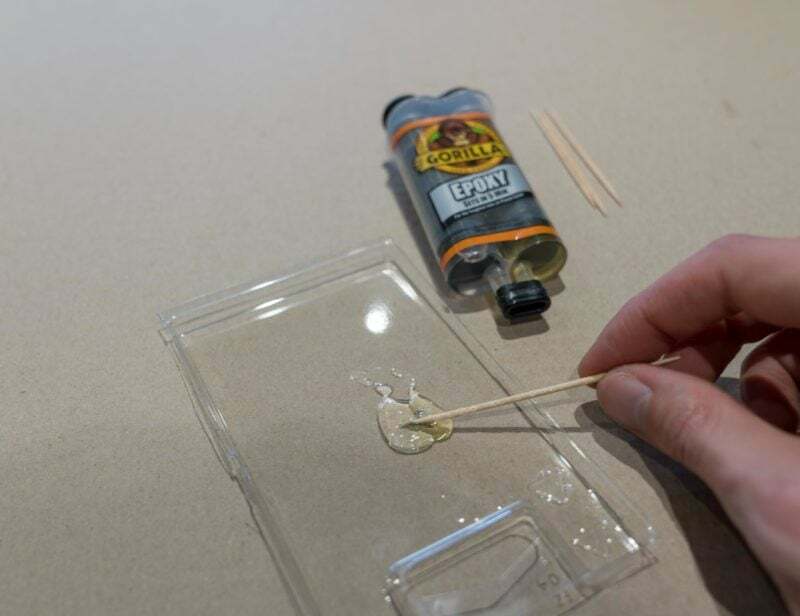 Mix the epoxy glue, following the instructions on the pack. 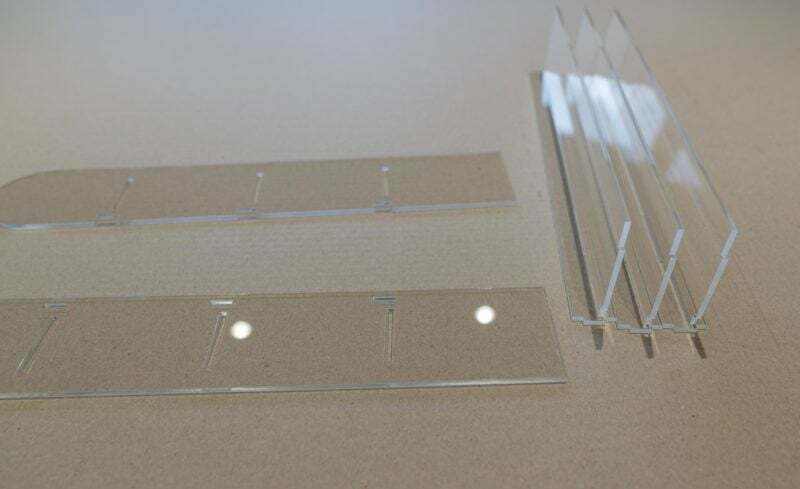 The amount pictured is more than enough to build one display stand. 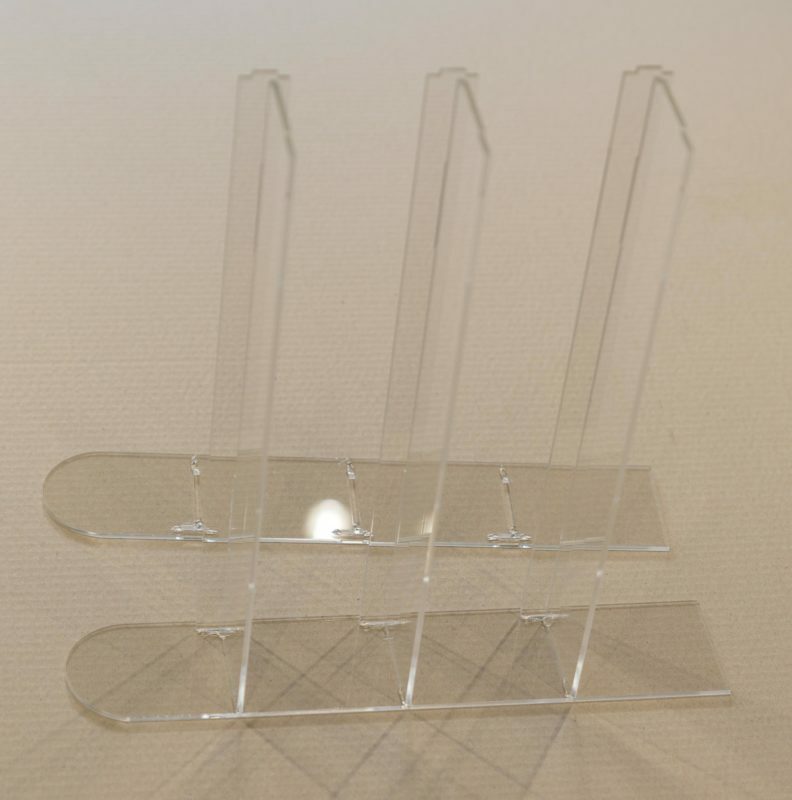 Ensure the two side pieces are arranged as a mirrored pair, and then use a cocktail stick to apply glue to the two side pieces of the display stand. Apply glue as shown to both side pieces. 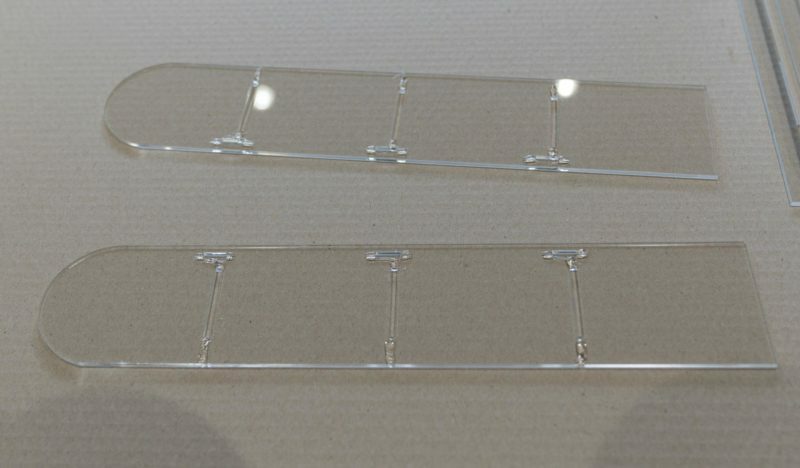 Glue extends from the long slot to the edge in one direction and to the small slot in the other direction, and extends a few millimetres beyond the small slot. Do not put glue in the slots, as this will make a mess. Insert the three shelves into the first one of the side pieces. 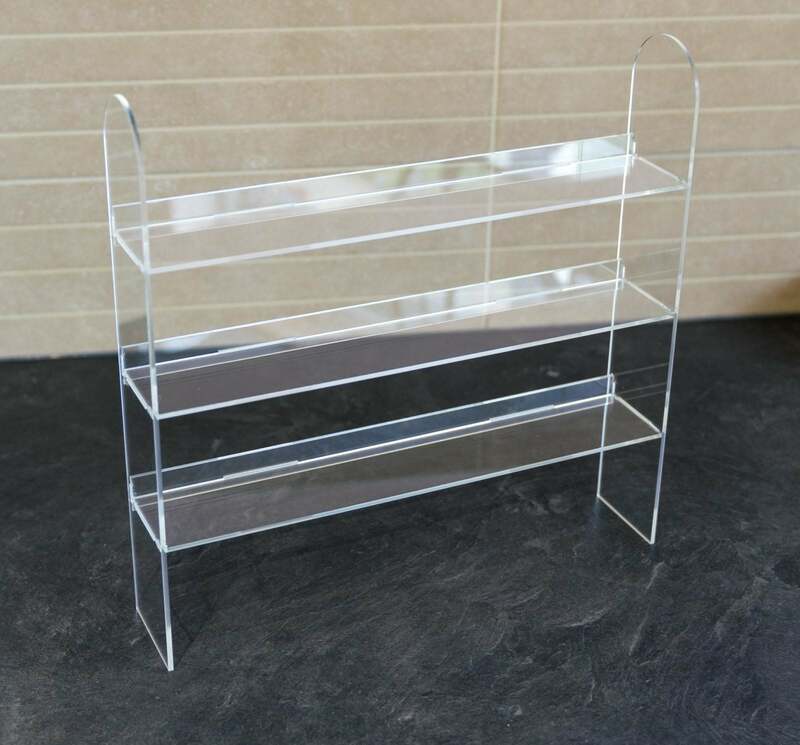 Pick up the second side piece, and starting at one end of it, slowly align the individual shelf elements and slot them into the side piece. Take the alignment jig and slide it between a pair of shelves. Try not to push it all the way to the back, as usually there will be a pile of glue here which it will get stuck in. 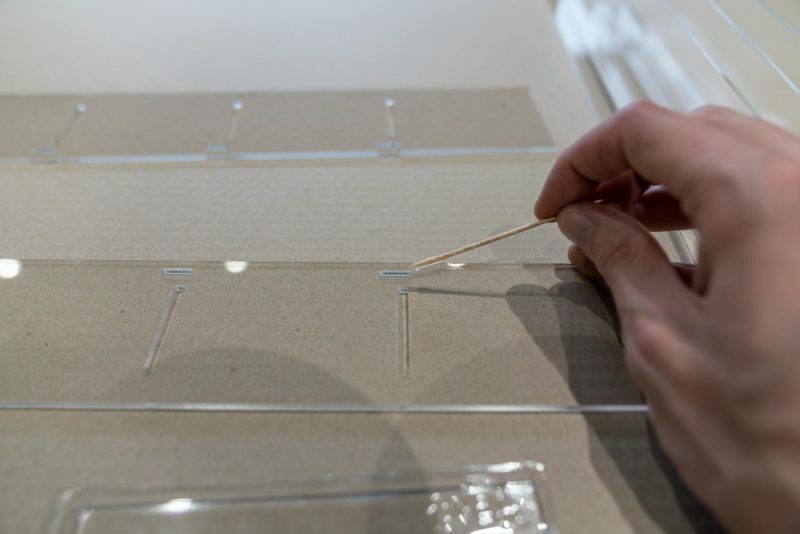 The alignment jig is used to hold the display stand square whilst the glue dries. Leave the glue to dry completely. For example our 5 minute (working time) epoxy seems to take around one hour to cure fully. Remove the alignment jig. 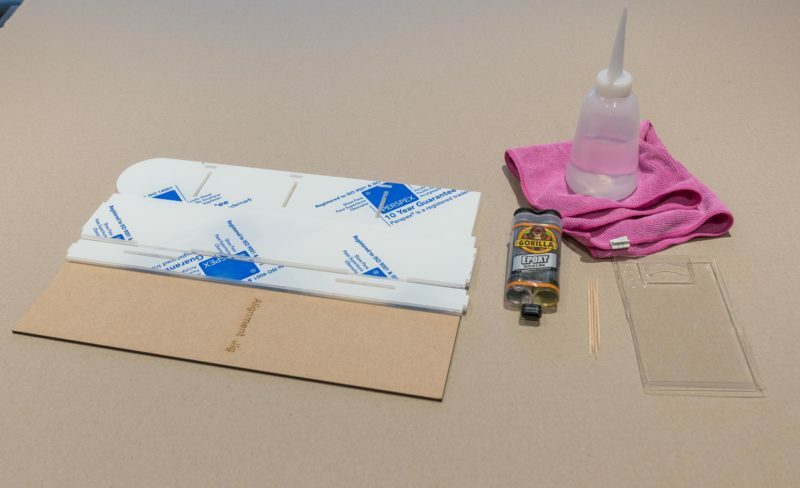 Any stray glue marks can be cleaned up with isopropyl alcohol and a soft microfibre cloth.